The Globevill Office building, which houses the marketing and sales functions, offers an opportunity to create an architecture that has the potential to define an interesting building that would evoke curiosity from the highway. The project is located along a section of the highway gently bending north in Sriperumbudur, Chennai, India. The design was conceived as a physical experience, drawing from the arc off the highway, and rising up to the actual building which then extends back into the highway. The architectural intent is to create a building which appears to be in constant motion, complimented by the unending flow of spaces. 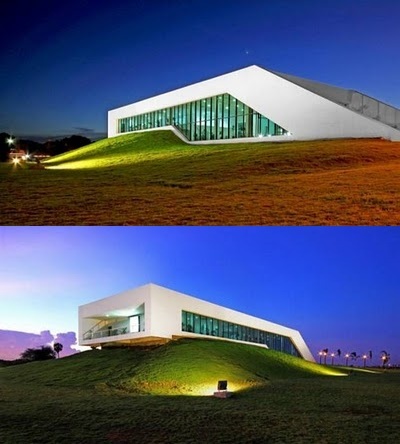 ArchitectureRED built this iconic office building for their client ETA Star Properties.